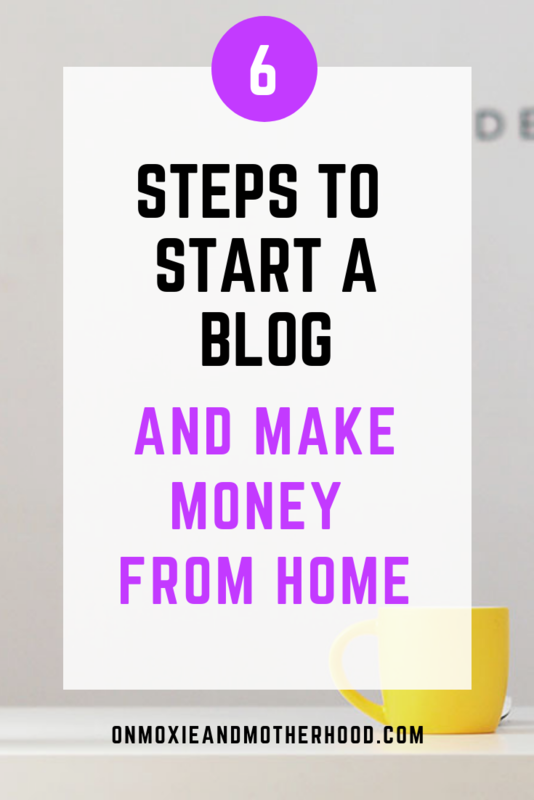 So you want to learn how to start a blog and become a blogger, huh? First, I love you. You are my person. I absolutely love blogging. I have been dabbling in the world of blogging for years. I started my first blog back when I was literally still a teenager. Well, 19 to be exact. It was called Traffic Notes and chronicled all of the dramas in my life at that time, and other random things I thought about while stuck in traffic. Back then I had no idea that people actually made money running a blog. Heck, if I had realized that then the whole trajectory of my work-life may have been different. I ended up becoming the person behind the scenes, writing code and building websites for other people. When I finally decided that I wanted to live out my passion and write for a living, I turned right back to blogging. 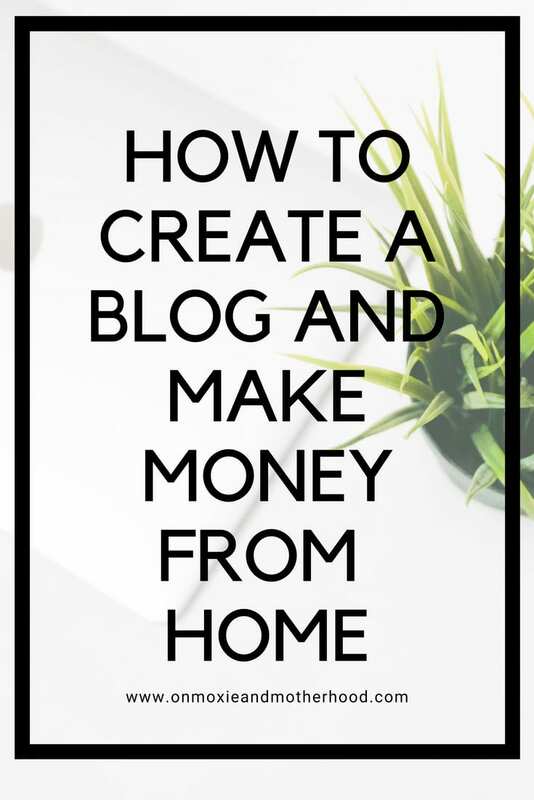 By then, I had learned so much more and personally knew other bloggers who were/are making over $10,000 per month. From their couch. So yeah, ‘nough said? 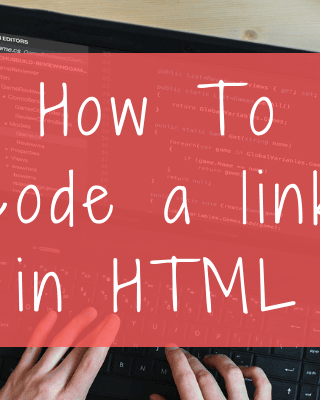 Now, my web development skills come in handy as I am able to help other bloggers build and run their sites, and I also don’t have to pay anyone else to keep my own up-to-date. But for an initial investment of about $4/month, blogging is the best business “risk” you could take. 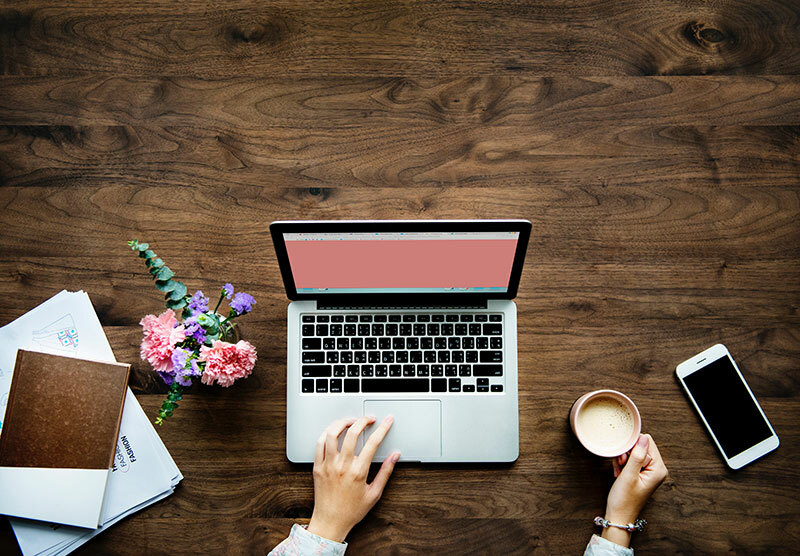 If you feel overwhelmed by the mere thought of doing the technical work to launch your blog and would like someone else to do it for you, I offer very affordable launch services that you can check out here. 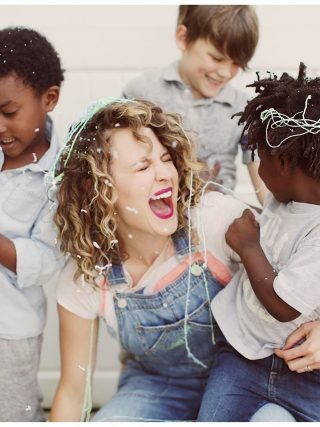 If you are the type who likes to learn new things, dive in and DIY it, read on sister. I’ve detailed the blog setup process for you below. Follow along to launch your blog! This is like marriage, my friend. First, you have to make sure it’s available, then you have to give it some time and be sure that you love it, and then you have to commit. If you change your mind, it is possible to switch but it’s messy, painful, and can be expensive. It’s easy to type, so I would avoid tons of dashes, for example. Shorter is better ’cause let’s face it, people are lazy and if they ever have to type it you may lose them. It doesn’t sound super similar to other blogs that already exist and are famous. You want to stand out, right? It matches your brand or blog name, or is your name! Using www.YOURNAME.com is always a great way to have a unique URL that doesn’t box you into a certain niche. In my humble opinion, .com is best. 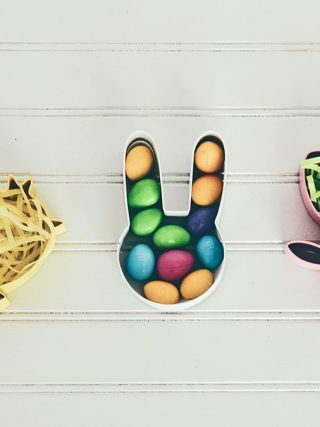 You’re more likely to be taken seriously with a .com. Got it? Good, moving on. If you are going to have a profitable blog, you need to OWN your blog. You can’t do that for free, but the good news is that it’s not expensive. 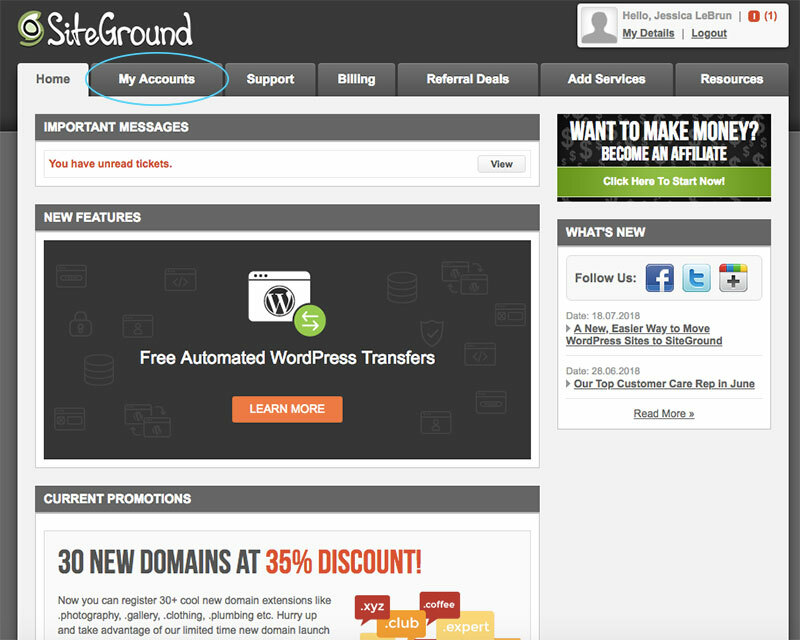 My blog is hosted with Siteground and I am very happy with them. I have other sites hosted with Bluehost, and I started this site on Bluehost too. If you want to know why I switched hosting companies, read this post. In my experience, Siteground has made my site way faster and has 10x better customer service. If you want to follow along with the steps below and setup your hosting with Siteground, click this link to open it up in a new window, and then follow along below. 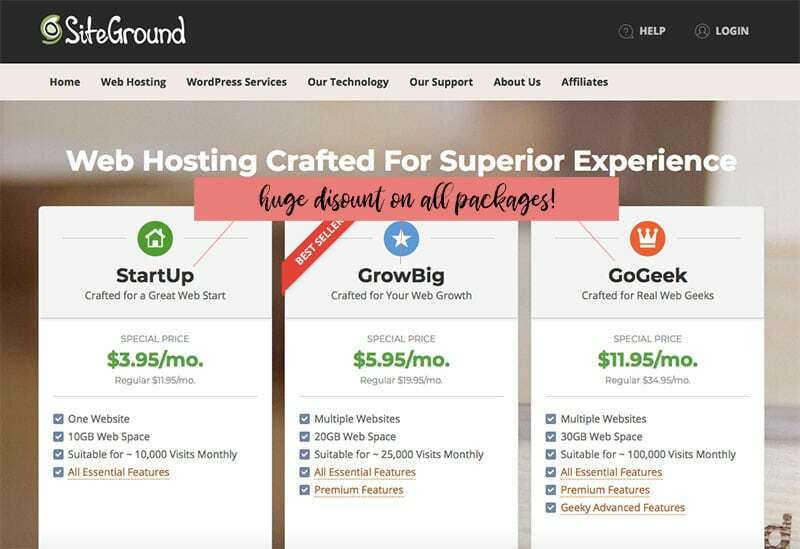 Siteground offers 3 different hosting plans, and you get a great discount on all of them through any of the links in this blog post!! THE STARTUP PLAN: This is a great plan for a brand new blogger who is just starting out and doesn’t want to spend much money right out of the gate.With this plan your site will be able to handle up to 10,000 unique visits per month. 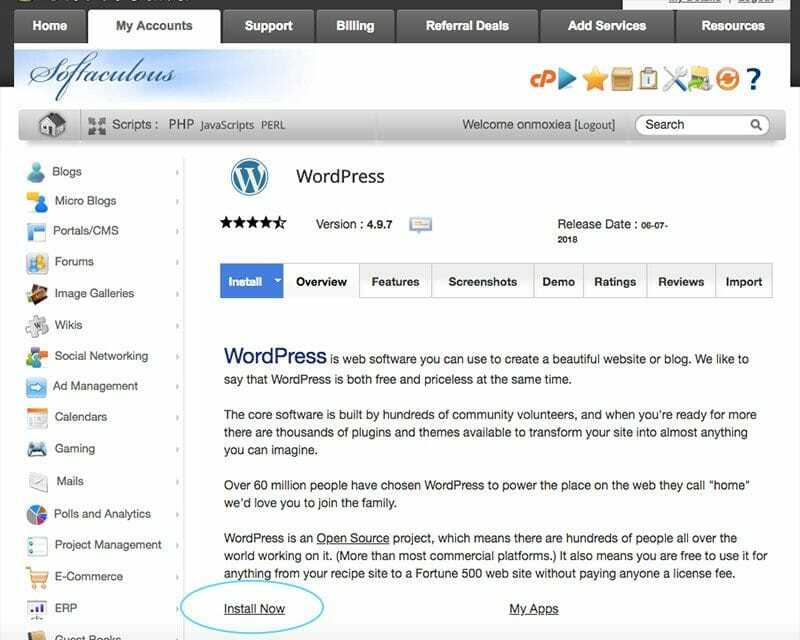 It comes with one click WordPress installation (EASY for those not familiar with this process), free daily backup, and awesome customer service.That free daily back up is BIG. Most hosting companies make you pay for that. 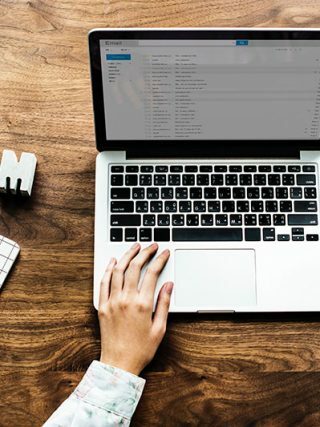 If you’ve ever done countless hours of work on a computer and then LOST IT, you know that you NEED back-up.Regular price for this plan is USD 9.95 per month, but you can get it for 60% off ($3.95/month) through this link! THE GO GEEK PLAN: For more established blogs, this plan can handle up to 100,000 visits per month, has all features of the other two plans plus more. If you’re new, I suggest starting with the STARTUP plan, because it’s super easy to upgrade later and switch to a bigger plan when you’re ready! Once you choose your plan, click GET STARTED under the plan you want. Now, it’s time to register that domain you decided on earlier. If you already own a domain, you can also choose to use that here too and get a FREE website transfer, which is awesome! If you’ve ever tried to transfer a website yourself you know this is worth a lot! STEP 4: REVIEW YOUR FINAL OPTIONS AND FINISH UP! 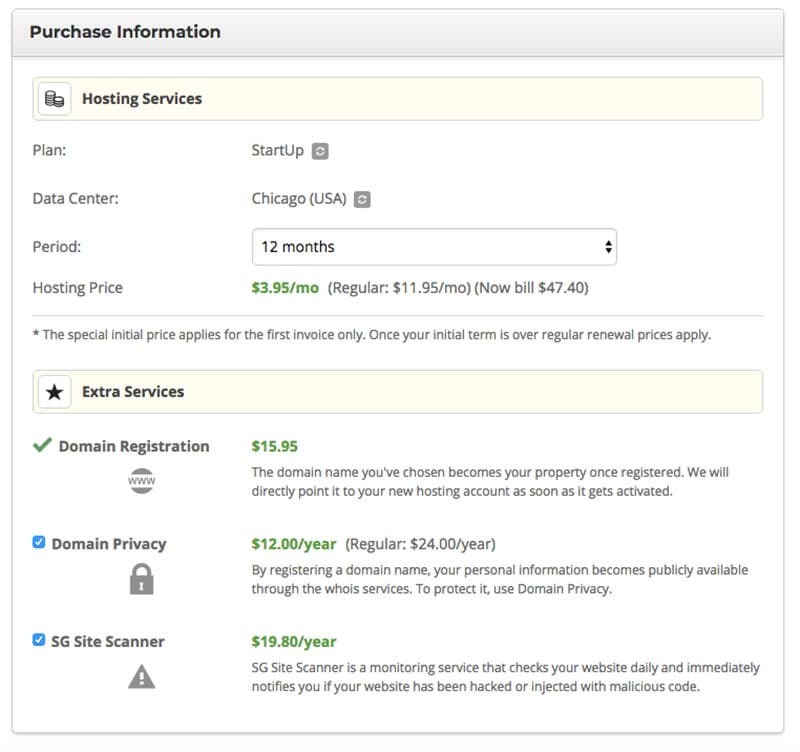 A lot of hosting companies will only offer you a discount when you commit and pay for several years in advance. This is another thing I like about Siteground, you can commit for a shorter period of time and still get their discounts. About Domain Privacy, this means that you are essentially paying for your information to be private in the whois database. The whois database allows anyone to search on a domain name and see the name and contact info of the person that domain is registered to. You will want domain privacy if you don’t want to be contacted by a bunch of people trying to sell you website services. For this step you have two choices. You can contact Siteground support and have them walk you through installing WordPress on your site and then skip to STEP 6 below. Or, you can follow along and I will tell you how to do it right here. 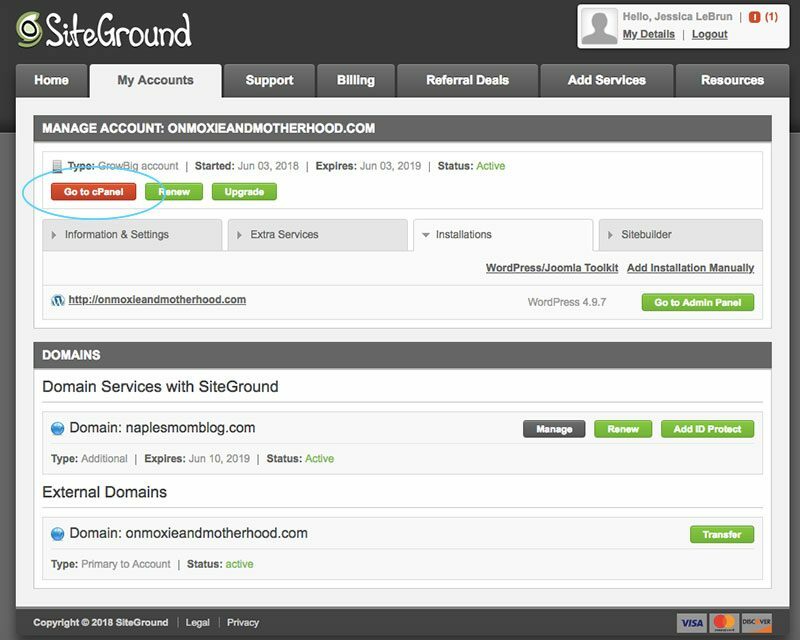 Once your domain is registered, login to your Siteground account. Now click, Go To CPanel. 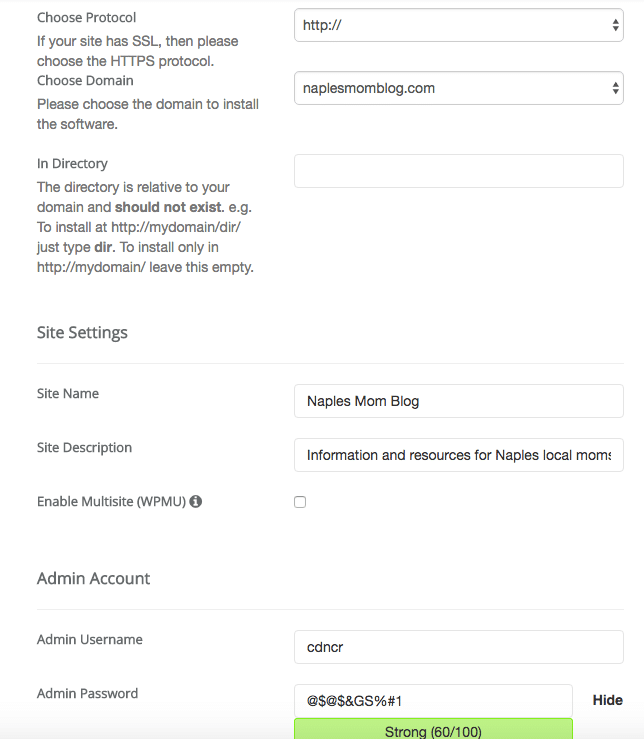 From your CPanel, Click WordPress. After the paragraph of text, you’ll see a link to “Install Now”, click it. The next page is where you will pick all of the options for your install. I suggest picking https:// and making sure you have an active SSL certificate. If you don’t, contact support so they can install it for you. This means you have a secure site which helps with search engine ranking and is overall a better practice.Next, select your domain (you should only have one at this point).Leave directory blank so WordPress installs in your root directory for your site.Put in your site name and description (you can change this later), and pick your username and password. 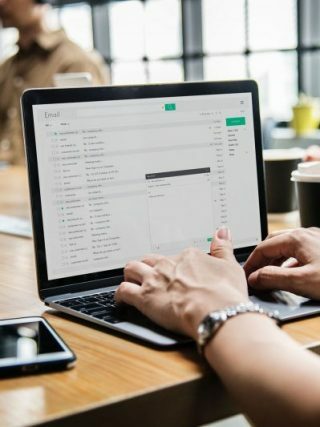 This is the login info you will use to access your WordPress back-end and actually build and update your site, so make note of it!Your admin email is the email address you want any important notices or updates about your WordPress site to go to. Use one you check often! You can leave everything else at it’s default setting at this point, and click Install. 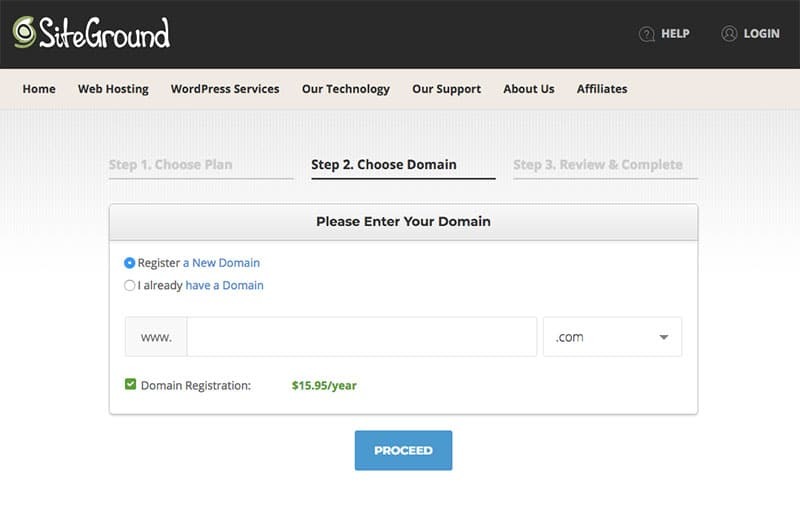 You should be redirected to a page like this, which lists your login URL for your new WordPress site. Make note of the URL, or you can just use www.yourdomainname.com/wp-login.php. Bookmark this URL, you’ll be logging into it often! 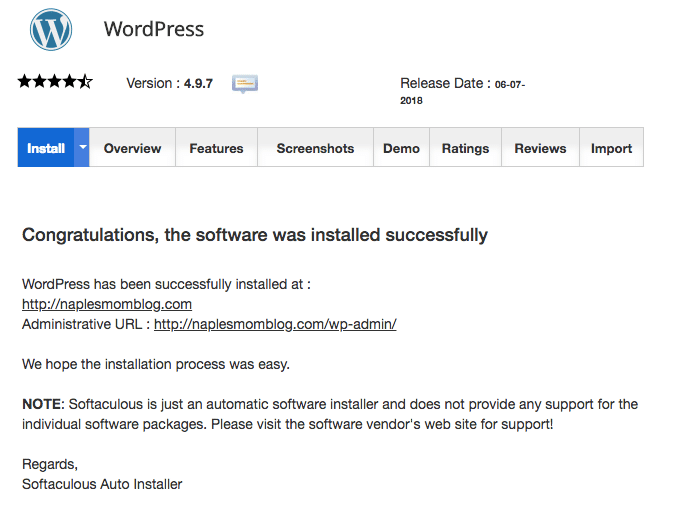 Now you’re ready to log in to your WordPress site! Go to the domain you just bookmarked, put in the login info you created and should have noted, and you’re in! You’ve done it! Once you login, you’ll see your Dashboard. Congratulations on taking the first steps to creating your own little space on the internet! You’re going to do big things! This is just the beginning though! The next thing you need to do is choose a theme you love and install it, then begin customizing to make your site look amazing! You can either have someone, like me, do this for you, or you can DIY it. For those who want to tackle it on your own, watch out for a tutorial in the next week on choosing, installing, and customizing your theme! Question? Leave them in the comments. I am happy to answer any questions you have! The BEST Pinterest Strategy Course out there for learning to drive traffic to your blog. Affiliate Marketing for Bloggers – an awesome course you should take to learn how to make money through affiliate marketing on your blog. 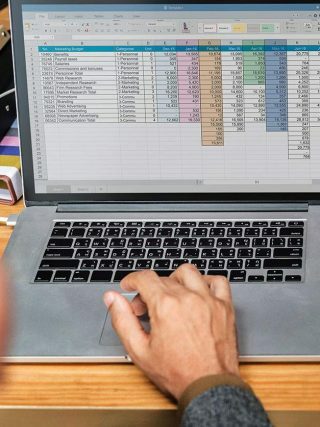 2019 Blog Planner – An awesome blog planner you need in your life if you’re a blogger. Blogcabulary Plus: The e-book YOU NEED if you are a new blogger. The Blog Fixer: for any issues or problems you can’t seem to fix on your own. 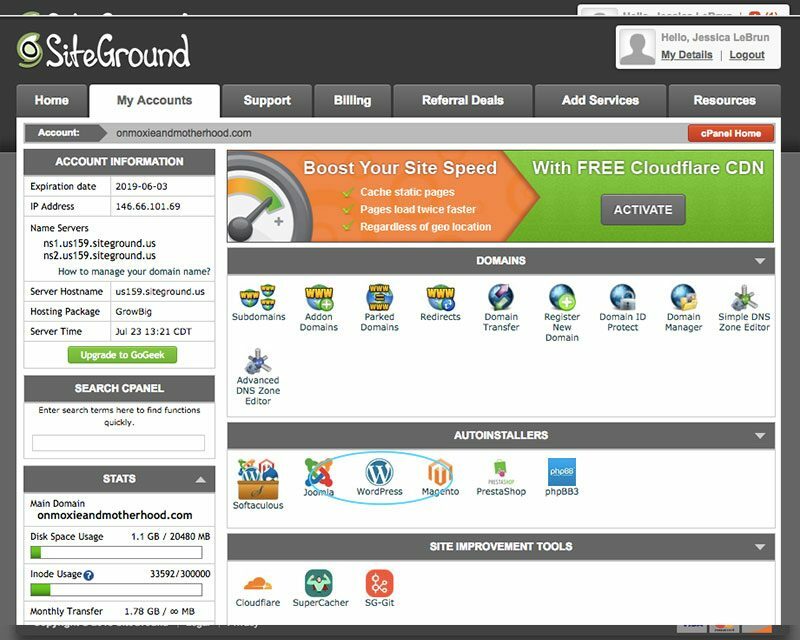 Siteground: Another great option for web hosting with awesome customer service and great speed.